I am back after about a month of not blogging! The reason for the long delay is that I relocated. I am now a resident of Philadelphia:) We have been settled into our new place for about a week and half now and I have already done two cakes here. I am working on a third this week for a York client for her husband's 50th birthday. Oh I how love those kinds of birthday cakes. But back to the post at hand.... Pink Passion! 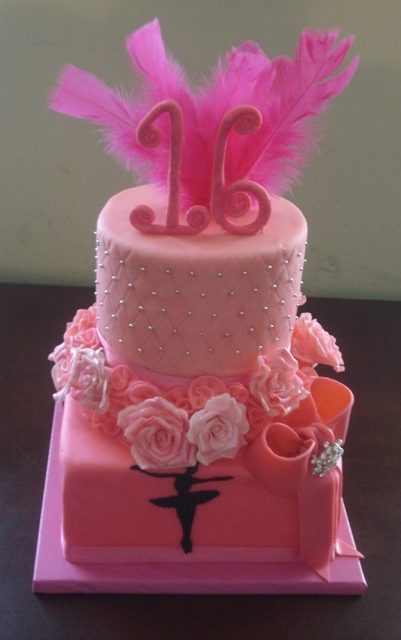 Earlier in the month of October I had the pleasure of making a sweet 16 cake for a sweet girl, Brooke. 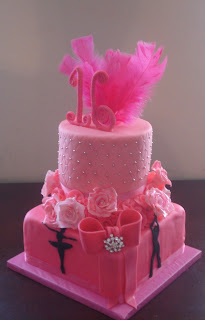 Her mom came to me earlier in the summer to discuss her daughter's birthday cake. From the initial conception to the actual delivery of the cake, many things have changed but still the cake out great! Brooke is a dancer who loves the color pink and when I mean loves the color pink... she LOVES pink. 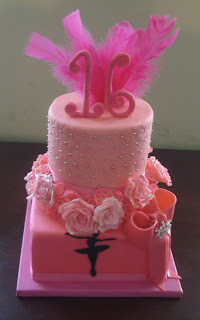 So suggested that her cake be different shades of the color pink which she absolutely loved the idea. 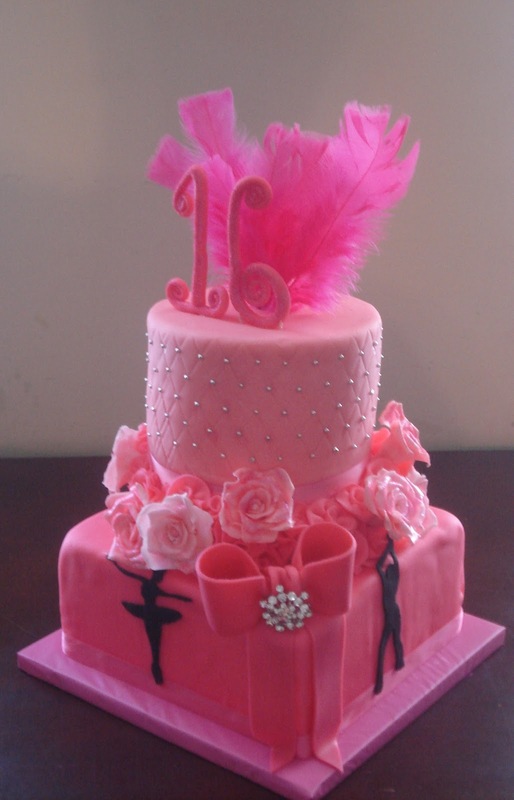 She also wanted to include something referencing to her being a dancer but that would fit into the overall design of the cake as well. So we decided to use silhouette of dancers in black around the bottom tier. 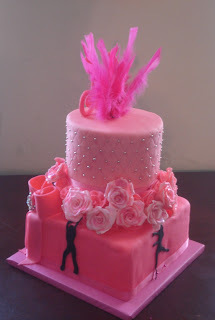 This is also one of a few cakes in which I had to make sugar roses in various shades of pink. Now I love sugar flowers but making them can be a pain in the rear..but this time around I didn't mind it so much. Once you get an assembly line going it goes by fast. Well that's it for now.. I should have another post this weekend for ya!